With much anticipation and preparation over the last couple of weeks, we hosted our inaugural Partners Luncheon for our Headquarter-based agents last 29 November 2017 at the Romulo Café in Jupiter Street, Makati City. It was an opportune occasion to recognize the valued contributions of our respected agents as well as appreciate their trust and confidence in our services throughout our 57-year (and counting) tenure in the non-life insurance business. The luncheon formally commenced with the Opening Remarks of Ian Cuyegkeng, VP Business Development and Investments. His message began with a note of gratitude to all of the company’s partners for their support of PBAC throughout the years. He gave an overview of the programs that PBAC has initiated to strengthen the organization and contribute to the progress of the non-life insurance industry. In addition, he outlined the main initiatives that the company will undertake in 2018 to ensure that it achieves its objectives as the firm prepares for the regulatory requirements to be implemented in the upcoming years. He emphasized on how important partnership, engagement, and relationships are to PBAC, noting that success cannot be achieved by the company alone. After the participants enjoyed a sumptuous meal prepared by Café Romulo, Certificates of Appreciation were handed out to all the participants in the Luncheon. The event concluded with the closing remarks of our President, Mrs. Rosario Cuyegkeng. 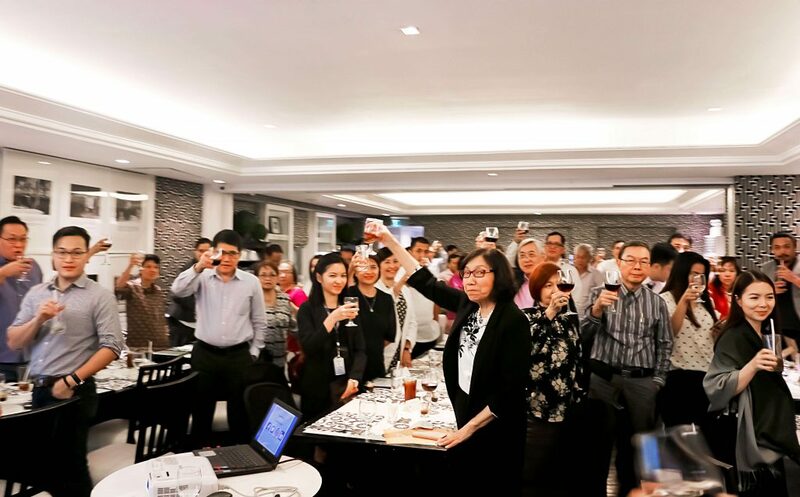 She echoed the message of thanks delivered in the Opening Remarks, as well as communicated her vision for PBAC to be one of the dominant and game-changing players in the non-life insurance industry. We hope that this event not only marks a celebration of the company’s successful efforts in 2017 but also provides a chance for us to share our warmest “thank you” to all our partners, staff, and stakeholders. We in PBAC feel very blessed! Have a wonderful Christmas and Holiday Season to all!